For fans and lovers of the game, however, it might not seem enough. As a fan myself, I would have loved to get a detailed perspective of the 2001 Test match against Australia in Eden Gardens. That match, for me, will remain a special one because post that, things changed for Indian cricket. The book could have had more details about what went inside the dressing room—the thinking within the team, the decisions taken and the mindset players were in while the match was on—and Sourav Ganguly would have had the best view of the whole situation. India won many games under him, and some of them have been close matches. A little more insights into those close encounters, specially the 2002 Champions Trophy game against South Africa, NatWest Final in 2002 at Lord's, the World Cup outing in 2003, would have helped fans understand what goes on inside the minds of a captain when he is leading his country. However, despite all that, I thoroughly loved reading the book. It was nice to relive the past, look back at an era where some great individuals came together to take Indian cricket forward. And the man leading the herd was Sourav Ganguly. In the book he says, “The day I became captain I told myself this age-old policy had to change. Enough of romance. We needed to get real. I wanted to build a bank of fit and strong fast bowlers and create a new template”. 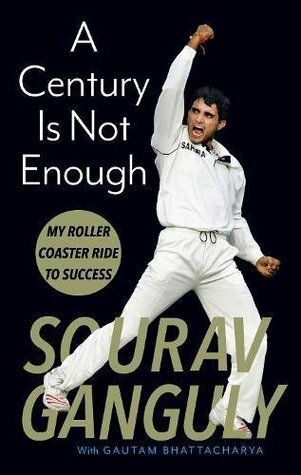 If you are a Dada fan and followed Indian cricket during his tenure as captain, this book is for you. If you love Sachin Tendulkar, Rahul Dravid, Anil Kumble, VVS Laxman, Virender Sehwag, Yuvraj Singh, Zaheer Khan or any member of the side during the time, this book is for you too. Because like a true leader, Sourav Ganguly credits every member of his team at various stages of the book for their contribution to Indian cricket. Note: This is not a review; however, it is a fan writing down his first thoughts after reading the book.